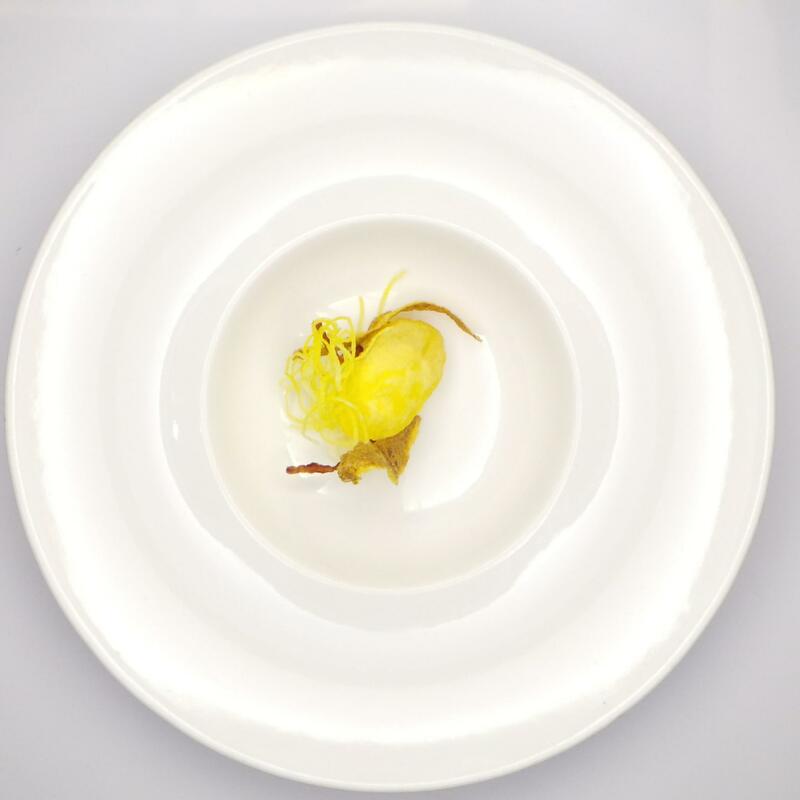 Eneko Atxa’s restaurant Azurmendi retained its 3 Michelin Stars for 2015 when the new classification for Spain was announced on 19 November. The restaurant, perched on a hillside just outside Bilbao does not need any introduction among food connoisseurs. Ranked 26th in the World’s 50 Best restaurants, it is also the winner of the sustainability award. Eneko, the 37-year-old chef of the restaurant told Food and Wine Gazette, when we interviewed him in Cologne during Chef Sache 2014 last month that the most important honour for him is to finish a service and ensure that his guests are happy. “I always say that we have to fight every day to ensure that our guests are happy. If we achieve this every day for 365 days a year, then we win. This to me is the most important honour. Obviously awards are important because they help us to get more people to the restaurant. We are not obsessed with the awards, but with the guest. For us, satisfaction of each guest is the most important,” Eneko said. Azurmendi is different. The ‘complex’ includes the restaurant, his house, a wine cellar, a hall which serves as a venue for large events, a garden and a small bistro. “The restaurant is designed to pay industrial homage to the old steel industry of Bilbao,” Eneko said. The complex has been built in a way which integrates with the surrounding environment. But it also follows the basic principles of sustainability. It is environmentally friendly, using renewable energies to carry out its operations, recycling the waste generated, making use of the rainwater and heating and cooling the facilities through geothermal energy created from 38 holes dug into the ground. 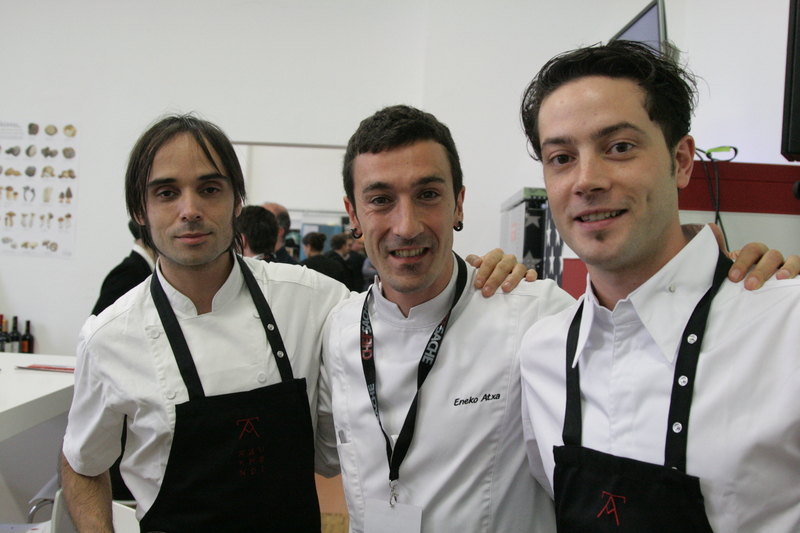 Eneko Atxa was also involved in a pop-up restaurant which opened in Valletta, the capital of Malta, for 100 days in summer. It was the first time that a Michelin-starred chef had put his name to a project on this island in the Mediterranean under the name Aziamendi. Given I come from Malta I had to ask him what he thought about this experience and whether he sees potential in Malta. “The experience we had was fantastic. The people and the weather are fantastic. The Maltese are very curious about gastronomy and I think that this is the way forward. The Maltese are very interested in discovering new things and flavours. We also worked with fantastic produce. The fruit, the tomatoes, tuna, lots of fresh herbs, local rabbit and pork are all exceptional,” he said.